Our recently revamped Region Selector is a handy tool in SimpleTelly that allows you to access region restricted content across multiple countries from the same provider. For example, if you are in the US, you will not be able to access Netflix exclusive content in the UK and vice versa. 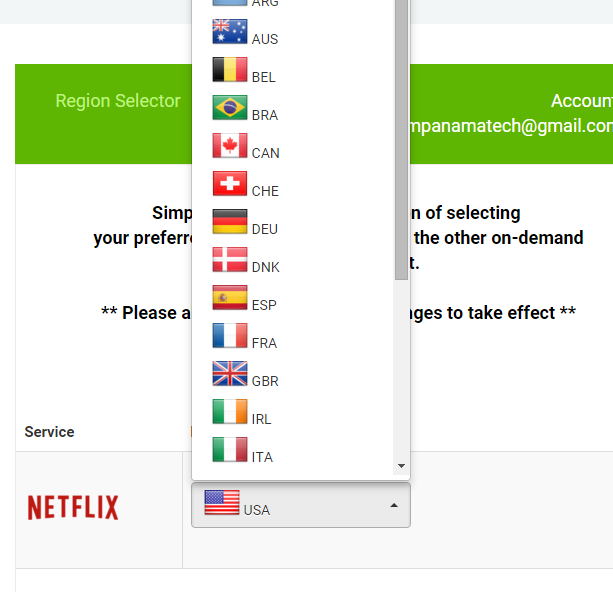 Region Selector allows you to switch your Netflix region from the US region to UK so that you can get UK content on Netflix, without the need to reconfigure anything on your computer. When you switch regions with the Region Selector, it will not affect other services that only has services in one location. If you switched your Netflix region to UK, other channels will not be affected. This is how you can get Netflix UK on one screen while watching Showtime without any issues or interruptions. You will notice that the Region Selector has groups. This is because certain media content providers happen to employ the same servers to deploy their content and thus, standard region switching will not be able to change this. Due to the fact that the different channels are all on the same server, you can only change the country setting for the entire group at any given time. This gives you the power to choose what content you would like to have from these servers, which would otherwise be determined by your provider. For some of us who needs more control, Region Switcher also offers region switching for individual channels. This allows you to switch regions only for these providers, or turn off SimpleTelly ONLY for this particular service. You may need this feature as there are certain content providers who have other services such as Amazon, since their online shop portal and the video server are actually on the same server, you will find that your Amazon.com may give you the same shop as defined by the Region Selector. If you wish to disable this when you shop locally at Amazon, Region Selector lets you turn this off and you can turn it back on when you are done. That way, you are given complete freedom to choose, instead of having to remove and reconfigure the DNS settings each and every time you want to use these sites. 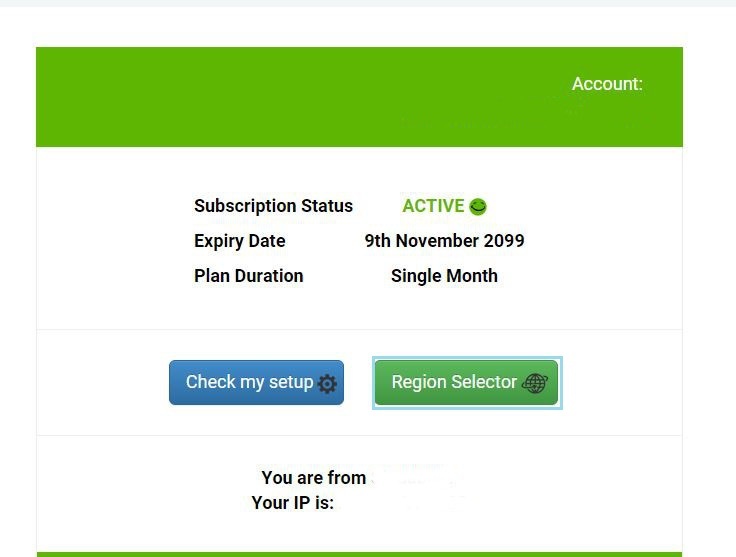 1) To access Region Selector, simply log in to your SimpleTelly account and click the green Region Selector button. 2) This is the top part of the Region Selector. 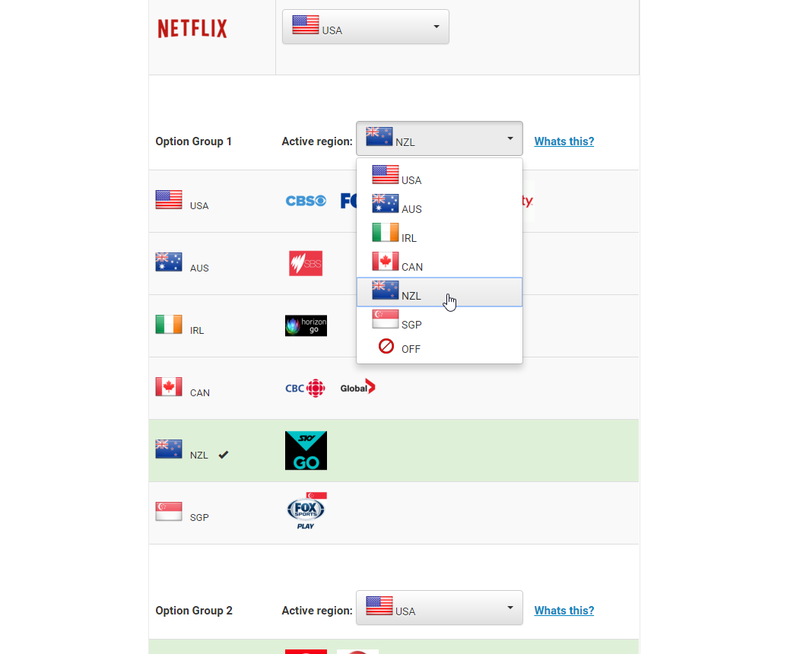 We have put Netflix on the top for easy access, and also visible here is the Group Options. Just select the region you want to change Netflix to, wait for 5 minutes, and browse to Netflix. Easy! 3) If a channel that’s listed here does not work, you’ll need to scroll down to get to the Group Options. You will soon notice that each of the groups have a set of countries. 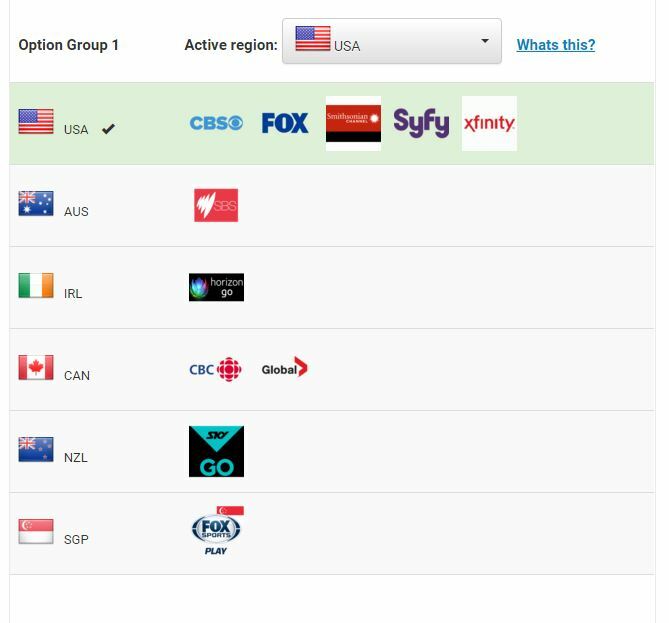 The Group Options section shows you the channels that you can access when you change the countries to give you a clearer picture. Look for the group with the affected channel and change the country to match the channel. 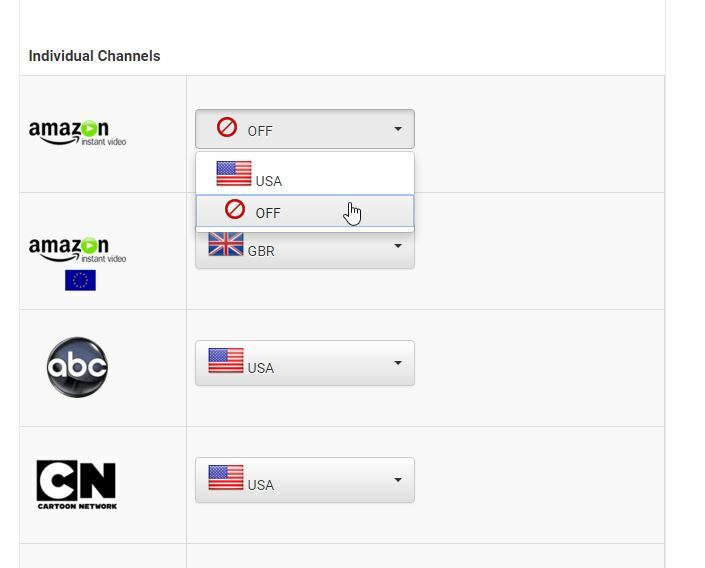 4) If you need to change the countries for individual channels, you can do so when you scroll further down at the page. You’ll see the options to configure your countries here. 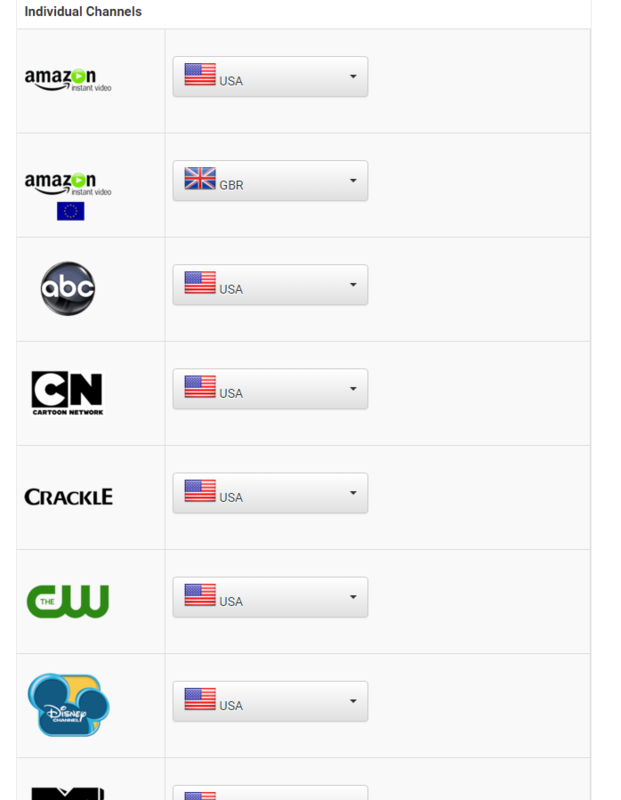 Most of these are set to USA by default so you can view your favorite channels right away. These are some of the amazing features of SimpleTelly’s Region Selector. While being simple, it gives you control over what you want to watch, and how you want to watch it. Here at Simpletelly, we allow you to stream it, like you mean it.